^ Justin Kroll. ‘Vikings’ Actor Travis Fimmel Joins ‘Warcraft’ (EXCLUSIVE) - Variety. Variety. ^ TRAVIS FIMMEL - STAR OF HISTORY CHANNEL'S 'VIKINGS'. 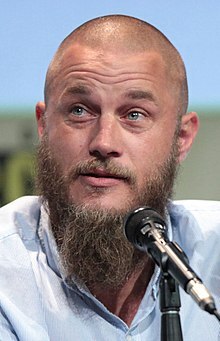 travisfimmel.com.